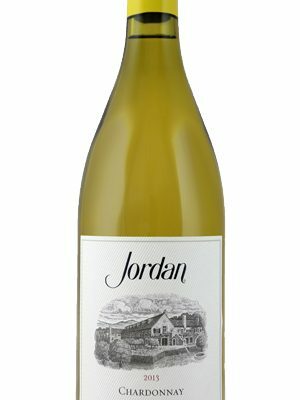 The people at Jordan say that 2013 was a pretty perfect vintage for chardonnay. They also mention that they make their wines to be food friendly, and they’ve done a good job of it with this wine, which paired well with our Bourride-style fish stew containing saffron, two kinds of tomatoes, two kinds of green onions and three types of fish. The wine opened with a bit of vanilla and earthiness on the nose, and even a touch of smoke which followed onto the palate. This wine is fairly citric, which gives it a nice liveliness, yet there’s more underlying fruit, too. Moderately minerally in its longish finish. And if you happen to have some lemon-infused goat cheese, pairing it with this wine makes a great cheese course.